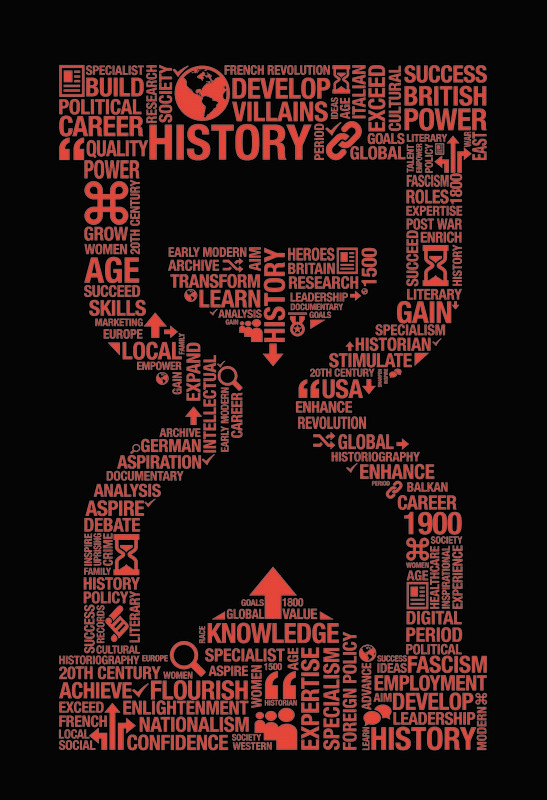 Welcome to Kingston history department’s new blog, history@kingston. As you can see we are still ‘under construction’ in some areas but please do click on the links above and explore. We would love to receive offers of future posts and suggestions for links from staff, students, alumni, and also from archives, museums, historic houses and heritage sites, particularly those in Surrey and greater London. Kingston’s Centre for the Historical Record has long sought to engage with and run events for students, academics, heritage providers, the local community and the wider public, so in many ways this blog is just an online extension of what we like doing best. Why are we blogging and why do we want to hear from you? In addition to extending the Centre for the Historical Record’s activities here are just a few good reasons. Tim’s blog post was also reported in the Times Higher Education because his main point was that blogging has become an integral part of the research process for disseminating and discussing ideas, and an excellent means of ‘building a community of readers’ amongst a wider academic and public audience. Social media is increasingly being used as a tool in teaching as well as research. Have a look at Joanne Bailey’s blog and slides about using social media to teach, research and engage the public for some useful examples, and read her more recent blog on preparing teaching materials. We will list links to any resources generated after each event on our Past Events page. Writing for blogs, particularly if public, can also greatly improve students’ writing style. Helen Rogers eloquently explains the finer points of blogging and has set up a useful site for those interested in Blogging Beyond the Classroom. At Kingston, blogging is now embedded in the final year of our undergraduate degree and in the public history taught on our MA. Earlier this year Kingston’s Vice Chancellor, Julius Weinberg, committed the university to promoting local civic engagement by signing us up to The National Co-ordinating Centre for Public Engagement. Perhaps one of the most important aims of the NCCPE is to encourage university staff to listen and learn from the different groups and communities we engage with as well as sharing our knowledge, resources and skills. At the time I wondered how ‘civic’ and by implication wider ‘public’ engagement could be reconciled. For me, part of the answer lies in the ability of the internet to dissolve both distance and local v national boundaries. It is equally about the involvement of local groups and institutions in national or even global projects. A good example is Kingston Museum’s WW1 commemorative exhibition which was one of many such local events that form part of a co-ordinated national and international commemoration. So if you or your institution would like to raise an issue that affects you, tell us about a public event you are running, or share a project you are working on we would love to hear from you. We have an exciting programme of events planned for this year, all of which are open to the public. First up on 9th October is the hugely knowledgeable and entertaining Greg Jenner, historical consultant to the BBC’s Horrible Histories, talking about ‘Lavish Dramas, Thoughtful Documentaries and Idiots Smeared in Poo: Why Making Historical Television is harder than you think!’ There will be more on that soon and Greg will also be our first guest blogger after the event. On 11th November we are exploring the world of Cesar Picton through film and newly discovered records with The National Archives. 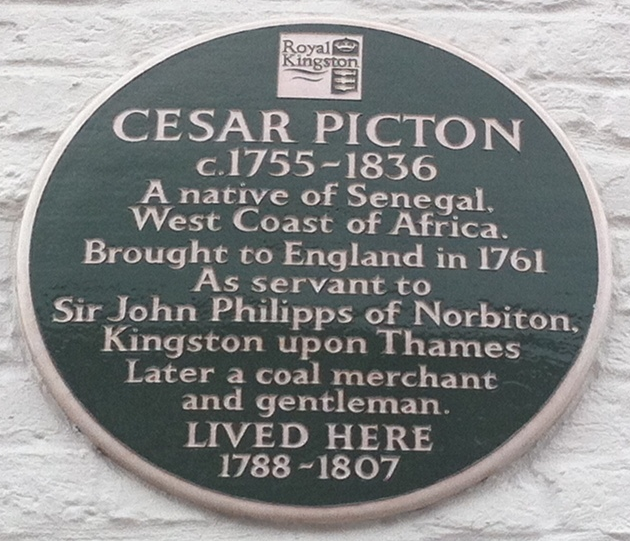 Picton was brought to England as a slave boy, but became a successful merchant in Kingston. His life will be set in context by the marvellous Miranda Kaufmann in a talk about Africans in Georgian London. In the spring term we are pleased to welcome the multi-talented Kate Williams , and we will be running a WW1 centenary workshop from the perspective of less well publicized groups. So please do come along and join in the conversation with History@Kingston. Quote | This entry was posted in Blogging, Events, Public History, Teaching and tagged blogging, civic engagement, history, teaching, Welcome. Bookmark the permalink.